Iran's Majlis Speaker Ali Larijani has lashed out at the United Nations for keeping silent on the ongoing massacre of Muslims in Myanmar, urging the international body to dispatch peacekeeping forces to the Southeast Asian country. "Why don't you dispatch peacekeeping forces to Myanmar to avoid the killing of Muslims as you sent peacekeepers to Syria?" said Larijani in an open session of the Majlis on Sunday. According to recent reports, Muslims in Myanmar are in a tragic human plight. Reports say 650 of the nearly one million Rohingya Muslims have been killed as of June 28 during clashes in the western region of Rakhine. This is while 1,200 others are missing and 90,000 more have been displaced. 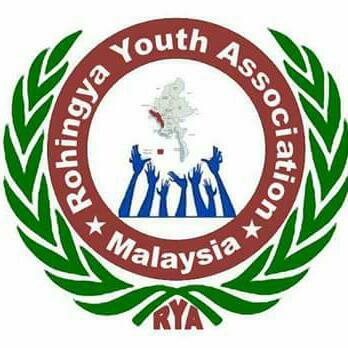 The government of Myanmar refuses to recognize Rohingyas, who it claims are not natives, and classifies them as illegal migrants, although they have lived in the country for generations. Larijani also made a reference to Wednesday's deadly terrorist attack in Syria and said, "Instead of condemning the issue of terrorism, the US, Britain and France announced that the Syrian government should change." The Iranian Majlis speaker added that these countries praise any act of terror if it serves their interests, and reward any measure against Muslim countries. Last Wednesday, Syrian Defense Minister Dawoud Rajiha, Deputy Defense Minister Assef Shawkat, National Security chief General Hisham Bekhtiar and Assistant Vice President Hassan Turkmani were killed in a bomb attack on the headquarters of the National Security Bureau in the Syrian capital, Damascus. The so-called Free Syrian Army (FSA) rebels claimed responsibility for the attack, threatening more violence in the Syrian capital in the coming days.